Kian congratulations from the members of Alfreton Rotary Club you set yourself a big challenge and you achieved it. 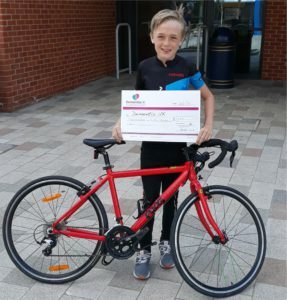 At the age of 12 years you have cycled from John O’Groats to Lands End in 14 days making you the youngest person to do it in less than 20 days. All in aid of the charity Dementia UK.